"One strand of that jurisprudence, associated with justices Antonin Scalia and Hugo Black, prizes broad, ambitious rulings on the ground that they give the clearest signals to lower courts, potential litigants and the nation as a whole. Scalia has long attacked minimalism on the ground that a court that resolves "one case at a time" leaves far too much doubt. If the court focuses on particular facts, people won't know, for example, when affirmative-action programs are permissible, when government can interfere with private choices and what, exactly, the president may or may not do to protect the nation. The competing strand, associated with Frankfurter and Justice Sandra Day O'Connor, prizes narrow rulings. O'Connor emphasized the need for humility, which would require the justices to acknowledge what they do not know and to leave many questions undecided". I find this question about judicial minimalism intriguing because it raises fundamental questions about the role of judicial review in a liberal democracy. I am a proponent of what is called the “dialogical model” of judicial review. [See, for example, Peter Hogg and Allison Bushell ‘The Charter Dialogue Between Courts and Legislatures’, Osgoode Hall Law Journal, Vol. 35, No. 1, 1997, pp. 75-124.] My own contribution to these debates is made in my forthcoming paper “Civic Liberalism and the “Dialogical Model” of Judicial Review”. This paper outlines some of the philosophical underpinnings of the dialogical model. And I thought I would tease out some of the insights from that paper and consider what they might prescribe about judicial minimalism. I think the dialogical model of judicial review is best characterised as being premised on a “virtue-oriented” conception of justice and democracy. Such a theory prescribes that we strive for the mean between judicial and legislative supremacy. Furthermore, such a virtue-oriented account can make explicit why it is important to have the input of both legislative bodies and Courts when it comes to the issue of regulating constitutional rights. To make a long story short, there are a number of important reasons why we should have input from a deliberative body like the Supreme Court. One reason is their legal expertise. But another important reason is the fact that they are politically insulated in a way that legislatures are not. Thus judges have an important contribution to play in terms of exercising public reason. They can bring to the fore issues or arguments that legislatures might not seriously entertain because doing so would cost (or risk costing) law-makers votes. When we consider the issue of dissenting Court opinions, I think such opinions can contribute a lot to the vitality of a liberal democracy. So I think Roberts’s emphasis on the importance of the rule of law needs to be balanced against these other considerations. Dissenting opinions might bring to the fore important considerations that legislatures (and the majority Court, the public, etc.) might have to consider when fashioning legislation in the future (on related issues). The concern for “rule of law” must be tempered by the deliberating benefits of robust minority decisions and dissent. Minority decisions might stimulate informed public debate on an otherwise neglected issue or lead to more attentive law-making. But a virtue-oriented approach to judicial review will also embrace what Sandra Day O’Connor takes to be the main virtue of minimalism- *humility*. Respect for democracy means that Courts should recognize that they are only one of a number of important deliberative bodies in liberal democracies. And in many cases judges are not well positioned to make certain kinds of decisions. Politically insulated judges should not, for example, be given the power to make important decisions about the allocation of scarce public funds. This is one reason why I oppose judicial supremacy. So in the end I guess a virtue theorist will have to say that there are both pros and cons with judicial minimalism and that context is everything. Sometimes the Court should adopt a minimalist position. Doing so may be required by humility, respect for the rule of law, democracy, etc. But other times judges may have to contravene this minimalism. This might be necessary if law-makers fail to fully engage in the debates at stake with particular legislation. When law-makers fail to have the courage to tackle contentious social issues the Court may have to take on this role. So context is everything. And a virtuous judiciary will know when a minimalist or more robust court opinion is required and justified. Many things in life influence our health prospects. 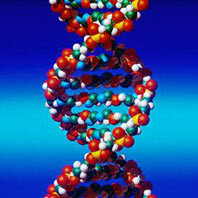 The genes we are born with, the food we consume, the lifestyle we live (e.g. sedentary or active), our economic prospects, our love prospects, our gender, our education, etc. One major health-related factor is our *age*. The lifetime risk (for all races in the US) of being diagnosed with cancer, for example, is currently 45.67% (see here) . And the lifetime risk of dying from cancer is 23.56%. But our age greatly influences what the risk of cancer is at the various stages of our lives. Males who are cancer-free at 20 years of age only have a 1.11% chance of being diagnosed with cancer in the next 20 years. Whereas males who are cancer-free at 50 years of age have a 21.40% chance of being diagnosed with cancer in the next 20 years. The fact that humans are temporal beings raises a number of interesting and challenging complexities for moral theories. As I mentioned in my previous post, I was at the "Human Enhancement Technologies and Human Rights" Conference on the weekend. The highlight of this conference, for me, was hearing Aubrey de Grey's talk about Life Extension. De Grey is biogerontologist at the University of Cambridge. He is not a philosopher and yet he gave an excellent philosophical paper on the ethics of life (i.e. health) extension. The talk was based on his published paper "Life Extension, Human Rights, and the Rational Refinement of Repugnance" in the Journal of Medical Ethics (2005;31:659-663). I have added De Grey's paper to my list of must reads this summer! In the talk De Grey began by reflecting on the fact that many things that society once found morally repugnant are now taken to be fundamental commitments on any defensible account of morality. For example, just over a century ago many people (including many women) in Western societies found the idea of female suffrage repugnant. De Grey cited a number of interesting passages that made the point of how society's mores can change so dramatically very vivid. One of the attitudes that De Grey believes will undergo a similar transformation is our attitude towards health extension. I must admit that I had been of mixed minds about the issue of radical human enhancements. I certainly have no objection to people utilising such interventions if they were to become safe and effective. But I was unsure (and still am) where such aims should fit in the bigger picture of distributive justice. As a prioritarian I see therapeutic aims that benefit the least advantaged as our main priority. But when one considers the health-related consequences of aging (and its socio-economic costs) the story of where human enhancements that forestall the negative effects of aging figure in the larger picture becomes more complex. De Grey certainly convinced me that these concerns warrant serious reflection and that we should (at the least) subject our existing attitudes towards life extension to critical reflection. It was a real joy to listen to De Grey's talk. He is an important figure in the debates concerning the ethics of health extension. I have just returned from the "Human Enhancement Technologies and Human Rights" Conference at Stanford University's Law School this past weekend and it was an excellent event! The focus was on the ethics of human enhancements and the conference brought together people from diverse disciplines to address a variety of important issues. I will post something more specific about these issues once I am a bit more settled. Unfortunately I had the miss the final day of talks to catch my return flight to Toronto to make it in time to present my paper again to the CPA at York University. But it was a great experience. Many thanks to James Hughes and the other members of the conference organizing committee for putting on a first-rate conference. I learned a lot and met a number of interesting people. 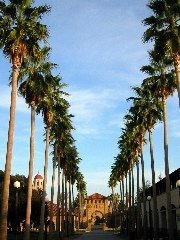 As for the Stanford campus, what I can say but "WOW!". It truly is a beautiful campus. Below is a sample. Could Al Gore be mouting a political comeback? CNN's Senior Political Analyst Bill Schneider has an interesting blog post here. I was disappointed Gore didn't make a run for President in the last election, so I'm keeping my fingers crossed that he is gearing things up for a serious run this time. Over at Left2Right I have been contributing to the exchange on David Velleman’s post on reproduction ethics. The focus of Velleman’s post is Ian Mucklejohn and this story. Mucklejohn became the first single man in the UK to have his own children without a female partner. “With the help of the internet he found an American egg donor, had her eggs fertilised with his sperm in California and paid a surrogate to carry the babies” at a cost of just over £50,000. The result was triplets. Velleman believes that this man’s actions are unethical. The thrust of Velleman’s argument (at least as elaborated in the comment thread) is that Mucklejohn’s actions “added to the number of motherless children in the world, for selfish reasons”. I don’t share Velleman's intuitions about this case. I certainly don’t think Mucklejohn has do anything unethical (on the contrary, from the description of the story I think his determination to father children- and provide them with a loving home- is rather admirable). I will outline the basis of why I disagree with Velleman, just to get things clear in my own mind. I think the only defensible moral principles are person-affecting principles. So if a wrong is done you must have wronged *someone*. In the case of Hucklejohn I do not think he has wronged anyone. His three sons would not have been born if he did not pursue the course of action he pursued. So he has not worsened their situation. Had he fathered children with a partner he would have created different children. Velleman’s criticism seems to be premised on a non-person affecting principle. This is implied in his claim that Mucklejohn’s actions “added to the number of motherless children in the world, for selfish reasons”. Furthermore, Velleman believes this case is analogous (in the relevant sense) with the case where a woman deliberately conceives a child while taking a teratogenic medication (thus giving birth to disabled children) rather than waiting until the medication is over and then concieve a different child. I don’t think these two cases are analogous because what is unethical about the latter case can be explained by a person-affecting principle. Given the strains on public funds available for mitigating other misfortunes, we should try to avoid deliberately creating individuals who will divert scarce public funds away from others who could have benefited from those funds. So there is always someone who is worse off in cases like this. But I don’t think the same is true in the example of Mucklejohn. Velleman’s latest response is that “even if she [the mother in the medication example] has all the money in the world to care for the child.. her deliberately conceiving a disabled child is wrong”. If (and it's a real stretch to even try to imagine such a fantastical scenario) this mother was a Robinson Crusoe figure who lived on a utopian Island where all her needs (and those of her child) would be satisfied without any effort I guess I would say that her deliberatively creating a disabled child would not be unethical. For me, a person’s reproductive decisions cannot be morally suspect if they have not worsened someone’s situation. Appeals to non-person affecting principles have always puzzled me. The only time when person-affecting principles sound like they might yield counterintuitive results is when one constructs fantastical scenarios that it's even hard to imagine. But when we consider real life cases it is non-person affecting principles that often yield counterintuitive results. In reality, however, less than half of Canadian children and youth meet minimum daily physical-activity requirements, the group said." 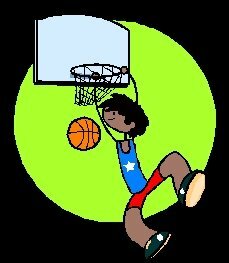 The Public Health Agency of Canada has a useful web site here that contains activities for children and youth. In the hustle and bustle of modern life it is easy for parents to forget about the importance of providing their children with the opportunity for healthy living. But it is something that is well worth the investment of our time and energy. Our children deserve better! 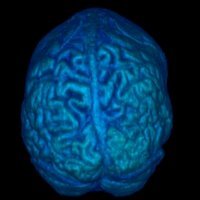 The Laboratory of Neural Imaging at UCLA has a very useful Visualization Showcase website here. There are images of the areas of the brain involved with laughter, fear and meditation. The Showcase also has a 4D map depicting the deficit pattern that occurs across the cortex in Alzheimer’s disease as well as a depiction of brain development from childhood to adulthood. So it's a very informative and interesting site. The UCLA Center for Society and Genetics has posted the videos from their conference "Stem Cells: Promise and Peril in Regenerative Medicine" held in February 2006. You can access the videos here. The conference addressed a variety of important issues pertaining to stem cell research, with contributions from diverse disciplines. So please check it out. This is a fascinating question, and I wish I could have attended the conference. I don’t think we will find a viable principle that will help us address complex issues of global justice. I think the best we can say is that the effort to combat global inequality should be a *proportionate* one. How do we determine what would constitute a proportionate response? Well, we have to consider the level of wellbeing of our compatriots, those of non-nationals, and the challenges we face in promoting both domestic and global justice. Other things being equal, the better off our own compatriots are, and the worse off those in other countries are, and the greater the chances that we can make a meaningful difference to combating global poverty, the greater the demands on us to help. Of course this requires us to have a good sense of the life prospects of our compatriots and non-nationals, as well as the obstacles facing the efforts to combat global poverty. I don’t have any concrete prescriptions concerning what ought to be done. But I sympathise with the sentiment conveyed by Summers- that hypothetical thought experiments (which are the pet projects of too many philosophers) that do not take seriously feasibility constraints (like scarcity) are not going to be very helpful. 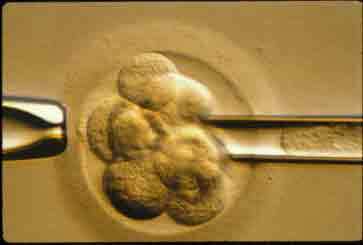 I recently came across a useful website on pre-implantation genetic diagnosis (PGD). It is the site for the Infertility Center of St. Louis- St. Lukes Hospital. The site contains some general information about PGD, and three short videos . You an access them at the bottom of this web page. "SAN DIEGO--(BUSINESS WIRE)--May 15, 2006--Inovio Biomedical Corporation (AMEX:INO) announced today that it has acquired, under a license with Sphergen SARL, rights to several patent families relating to the use of electroporation technology. The rights Inovio has licensed include two patents with broad claims regarding electroporation of nucleic acids in muscle (U.S. Patent No. 6,939,862) and tumor tissue (U.S. Patent No. 6,528,315). This intellectual property acquisition enhances the breadth of Inovio's patent portfolio directed to the use of electroporation technology to deliver therapeutic biopharmaceuticals. The license also includes grants of rights to know how, future improvements, and provisions for exclusivity in applications to human medicine." There is also this story which reports that the Federal Appeals Court has ruled in Cardium's Favor Over Boston Scientific and Arch Development on Patents for the Treatment of Heart Disease. Via msn Money comes this report about the first quarter financial report of Corautus Genetics and an update on its therapeutic development program. Here is a quote from the CEO which summarizes why one of the trials (treating severe angina) has been cancelled. "The Data Monitoring Committee ("DMC") recommended the termination of enrollment in the trial after review of summary information on 220 patients with three month data related to the primary endpoint of an increase in exercise treadmill time (ETT) of 60 seconds over baseline. The DMC also reviewed summary ETT information on 135 patients with 6 month follow up data and 26 patients with 12 month follow up data. Mr. Otto continued, "While the results of this interim primary endpoint review was disappointing, we and our GENASIS trial steering committee believe the analysis of the complete trial database will offer important additional insights regarding any potential application of the VEGF-2 therapeutic in this difficult patient population. 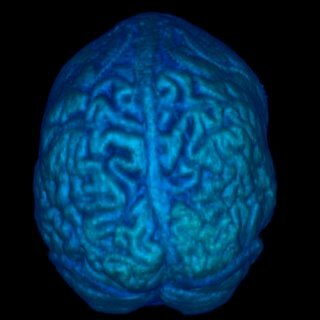 We are actively continuing to gather blinded results from patients on all efficacy endpoints including, SPECT nuclear scans, angina class and frequency, angina medication consumption, electrocardiographic (ECG) changes indicating ischemia and major adverse cardiac events (MACE), as well as exercise tolerance times all of which will be analyzed." "Crop scientists at the University of Illinois at Urbana-Champaign and the USDA-Agricultural Research Service's Donald Danforth Plant Science Center in St. Louis screened more than 16,000 soybean lines kept in the USDA's National Soybean Germplasm Collection. The findings will appear later this year in the journal Crop Science. The two soybean lines (PI 567476 and PI 603570A) contain virtually identical genetic mutations that do not contain the leading allergy-causing P34 protein, which consists of 379 amino acids, said Theodore Hymowitz, emeritus professor of plant genetics in the crop sciences department at the U. of I. "We are releasing this information with no patents so that companies and breeders involved with soybeans can incorporate these two lines as quickly as possible," Hymowitz said. Companies in Japan, Canada and across the United States have been following the research effort, he added". "At our open meeting today, the Authority agreed that we should consider the use of PGD embryo testing for conditions such as inherited breast, ovarian and bowel cancers that given the aggressive nature of the cancers, the impact of treatment and the extreme anxiety that carriers of the gene can experience. These conditions differ from those already licensed before because people at risk do not always develop cancer, it may occur later in life and some treatments may be available". This update is timely as I am in the midst of re-working a paper on regulating the non-medical uses of PGD (e.g. gender selection). I admit that I am somewhat baffled that many take the view that permitting even medical uses of PGD (let alone non-medical uses) is controversial and should be prohibited. I am presenting my paper on non-medical uses of PGD to three different conferences later this month so I will post some detailed thoughts on these issues after those are over. A determination of permissible and impermissible uses of PGD raises interesting questions about the scope and limitations of reproductive freedom. No doubt part of the reason why these issues are so controversial is the fact that they raise concerns of inclusion, gender equality and freedom (amongst others). And like all ethical dilemmas it is difficult to see how one can justly accommodate these diverse values and concerns. In my paper I outline a theoretical model that can help us tackle some of these issues. So please stay tuned for more on this. I have just finished making the final revisions to my paper "Justice in Ideal Theory: A Refutation" which is forthcoming in the journal Political Studies. I have added the paper to my research page and you can download it here. The paper is a challenge to political philosophers who defend accounts of distributive justice in "ideal theory". The debate between ideal and non-ideal theorists is really a debate over how fact-sensitive a theory of distributive justice ought to be. There are dangers to both extremes on the spectrum. 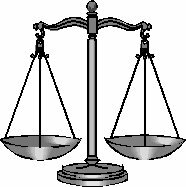 If one takes all existing constraints as a given then there is a danger that one's account of justice simply reinforces the status quo. On the other hand, if one adopts a fact-insensitive position one risks endorsing a theory that yields misguided or impotent prescriptions for real (non-ideal) societies. In the paper I focus on (and critique) moderate ideal theorists (Rawls and Dworkin). More specifically, I argue that liberal egalitarians who function at the level of ideal theory adopt a cost-blind approach to rights and a narrow view of possible human misfortune. The former issue leads liberal egalitarians to give priority to a serially ordered principle of equal basic liberties (Rawls, 1971, 1996) or to treat rights as “trumps” (Dworkin, 1978); and the latter to a stringent prioritarian principle (Rawls’s difference principle) or luck egalitarianism. Taken together, the cost-blind approach to rights, coupled with the narrow view of human misfortune, mean the liberal egalitarian theories of justice cannot address the issue of tradeoffs that inevitably arises in real non-ideal societies that face the fact of scarcity. This makes liberal egalitarianism an ineffective theory of social justice. This paper is part of a book-length project I am in the final stages of completing. So over the summer months I will post a few blogs on the various topics I address in that larger project. The real battle - the battle that will come to occupy the moral center stage of American politics, morality, law, public policy, editorial pages, and water-cooler discussions - will be waged over where genetic engineering ought to take us and whether we are satisfied to leave it to scientists to guide us there. Our present moment is seeing a host of scientific breakthroughs by which we are changing, modifying, inserting, altering or tweaking plant, animal and human genes. …. Our society would be foolish and cruel to forbid or ban genetic research given the needs of the sick, starving, impaired and those of future generations for solutions and treatments. Will we really turn away from those who literally are dying before our eyes, or who will die before our children's eyes, simply out of fear of scientists guiding public policy? ....To ensure the future of this century, we must ensure sufficient education, dialogue, oversight, accountability and control over the industrialization, commercialization and financing of genetic science. In the hands of its practitioners, that science is very, very unlikely to take us anywhere we do not want to go. But ignorance, inattention or indifference to what governments, business and the military do with genetics could land us in places no one wanted to reach. The process starts with education. It is up to each one of us to know enough about genetics to understand the possibilities, risks, opportunities and dangers. It is also up to each of us to insist that our educators make genetics a central part of the curriculum in our secondary schools and Sunday schools including the ethical issues genetics raise. Really. Starting now. This is indeed sage advice that I hope we all heed. The better prepared we are for dealing with the challenges the genetic revolution brings the better the chances are that we can utilise these advances for laudable aims. 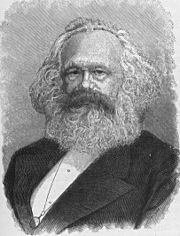 Marx and Human History Some reflections on Karl Marx's theory of historical materialism. Genetics and Justice (Where to Begin?) Examines the challenges we face when trying to incorporate our genetic endowments into the "currency" of distributive justice. The Genetic Revolution: A snapshot A snapshot of the genetic revolution, as told through Google Alerts on "Genetic Therapy"
Voluntarism and Tax Breaks Newsday article on tax breaks for volunteer firefighters. What is Political Theory? A brief answer to the question. Libertarianism and Rectification Would libertarian justice really legitimize a "minimal state"? Our Enhanced Future Reflecting on our attitudes towards existing enhancing interventions is helpful when considering how we might regulate radical enhancing technologies. Responsible Risk Management How do we prioritize the efforts to guard against the different kinds of risk which humans are susceptible to? 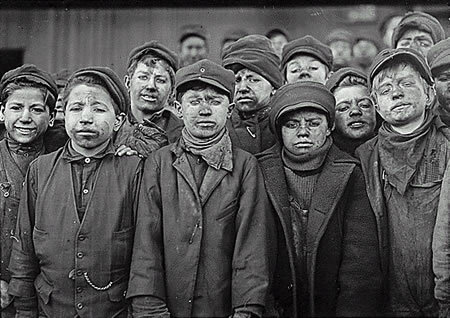 My previous post on how pervasive child labour still is got me thinking about Karl Marx. Marx occupies a very important place in the history of political thought. I myself am not a Marxist but I believe Marx’s work warrants serious consideration. 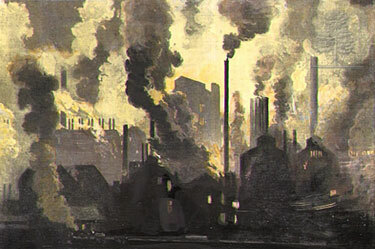 When I teach Marx to my first and second-year students we focus primarily on the normative dimensions of Marx’s writings, especially his account of exploitation and alienation. But today I wish to focus on what I see as the sophisticated empirical theses of Marx’s account of historical materialism. These are theses that I believe are still apt today and provide us with interesting insights into humanity’s struggle to overcome our naturally arduous condition. According to Marx, “productive forces”- the means of production (e.g. tools and machines) and labour power (e.g. knowledge, skill, etc. )- are the real driving force behind human history. And I think this is probably correct, though I don’t think capitalism will be (nor need be) replaced by communism. The productive forces determine the relations of production -who has *effective control* over their labour power, the means of production, etc. - which in turn determine the *superstructure* of society (e.g. legal and political institutions). My thoughts on Marx’s historical materialism are published in my paper “Historical Materialism and Supervenience” in the December 2005 issue of the journal Philosophy of the Social Sciences. You can access it for free by clicking here. At the end of this MA course the instructor suggested that perhaps this concept could be utilized to explain Marx’s theory of historical materialism. As part of my assessed work for that course I handed in a two-page summary outlining some vague ideas of how this could be done. The instructor liked my ideas and encouraged me to continue on with this line of inquiry. So I did… though it took a bit longer than I thought! Fast forward to a few years later…. during my PhD studies at Bristol University I had the opportunity to TA, and then to teach (my first course), a course on Karl Marx. In that course there was a heavy emphasis on the tradition known as “Analytical Marxism”, especially Jerry Cohen’s account of historical materialism. The more I read about Cohen’s work the more the connection with the concept of supervenience began to make sense to me. The challenges facing Marx (and Cohen’s functional reading of Marx) are in many ways the same challenges facing physicalists- that is, to explain how one set of properties determine a different set of properties, without denying either the existence or efficacy of the second set of properties. Furthermore, I realised that by utilising the concept of supervenience one could provide an account of the kind of evidence that could, in principle, either confirm or disconfirm Marx’s theories. If one could advance an account of historical materialism that was not susceptible to the problems of reductionism and verification then I think one has made some progress in terms of clarifying what Marx’s theory of human history is a theory about. C1: Synchronic materialism maintains that the superstructure supervenes naturally on the economic structure. C2: Diachronic materialism maintains that the relations of production supervene naturally on the forces of production. T5—Thesis of human rationality: Humans are rational beings who know how to satisfy the compelling wants they have and will be disposed to seize and employ the means of satisfaction of those wants. Unlike the bulk of Marx’s normative theses, I think these empirical theses are ones I would probably be willing to defend. By utilising the concept of supervenience we can derive a greater appreciation of the sophistication of Marx’s account of human history. Of the working children in the world, 69% work in agriculture, 22% in service and 9% in industry. 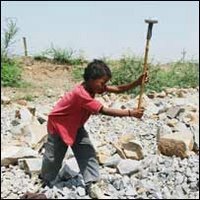 The action plan “proposes that the International Labour Organization and its member States continue to pursue the goal of the effective abolition of child labour by committing themselves to the elimination of all worst forms of child labour by 2016”. Lets hope that a genuine global commitment to achieving this important goal is forthcoming. Rapid advances in our genetic and biological knowledge raise a number of interesting challenges for theories of distributive justice. Such theories traditionally focus on the distribution of socio-economic goods (e.g. wealth, opportunities for education, etc.). But how does one equip such a theory to take seriously the prospect that our *genetic endowments* themselves might become part of the “currency” of distributive justice? How much weight, for example, ought we to place on the aspiration to fairly distribute our genetic potentials for health, intelligence, etc. versus fairly distributing social determinants that will also impact the distribution of these natural primary goods? And how do we balance the duty to prevent harm with respect for procreative liberty? The genetic revolution raises a myriad of different concerns ranging from the scope and limits of reproductive freedom to genomic intellectual property and genetic discrimination. To take such concerns seriously I believe it is important (following on from my previous post on “What is political theory?”) to keep John Dunn’s three skills in mind as theorists attempt to construct accounts of what justice will require in the “post-revolutionary” world. A world where we may be able to directly intervene (e.g. via genetic therapy) in the natural lottery of life. Keeping these three skills in mind reveals how arduous the task ahead of us is and the need for interdisciplinary dialogue and expertise. Firstly, the first skill requires us to have a good understanding of our biology. What are genes? And what role do they play in the development of different phenotypes (disease, cognition, personality, etc.)? To exercise this skill one must learn about the complex relationship between our biology and our environment. Sometimes the story of human disease is the story of a single malfunctioning allele (single-gene disorders). But in the case of the most prevalent multifactorial diseases (like cancer and heart disease) the story is a complex one- a combination of environmental factors and mutations in multiple genes. Sometimes the story of mitigating genetic disadvantage is a story about direct intervention (e.g. gene therapy) but in many cases we can avoid the disadvantage by pursuing other kinds of interventions (e.g. changing diet, exercising, etc.). The severity and onset of the disadvantages our genes confer can also vary from minor (e.g. slight learning disabilities) to major (e.g. premature death) and from early to late onset. These kinds of considerations will have an impact on how stringent the duty to directly mitigate genetic disadvantage is. In addition to understanding our biology, this first skill also requires us to have a good understanding of our legal, social and political institutions. We need to understand why they have evolved they way they have, and appreciate the virtues and limitations of these diverse and complex institutions. When it comes to considering the issue of genetics and justice it is important, for example, to bear in mind the injustices of past eugenic movements (e.g. involuntary sterilization of the “unfit”). Furthermore, we must recognise that advances in biomedical science are often costly and risky. Biotechnology is a multi-billion dollar industry and these (often experimental) interventions have risks. These costs and risks will complicate the story of what constitutes a just regulation of human genetic interventions. Who should fund biomedical research? And how much risk of harm is acceptable before an intervention can be deemed legally permissible (and who should be the judge of this)? Knowing how we got to where we are, and why things are this way, is important for deliberating about the kind of society we want. The second skill requires us to exercise our abstract philosophical skills. 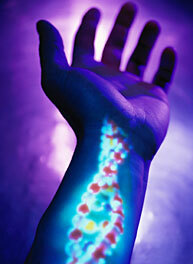 What is the kind of society we should aspire towards in terms of our genetic constitutions? Should we strive to ensure that everyone has a genetic decent minimum (and what would constitute such a minimum)? Should we invoke some notion of “genetic equality”? Or is a principle of maximin appropriate? Perhaps we should reject any “patterned” principle of “genetic justice”. It is important that philosophers temper their exercise of this second abstract skill with the first and third skills. Empirical knowledge of our biology and the challenges we face ought to have a large impact on the kind of distributive ideal we seriously entertain and debate. This will help ensure that we avoid prescriptions that are based on poor science (e.g. genetic determinism) or prescriptions that ignore the fact of scarcity or the risks associated with both genetic intervention as well as non-intervention. The third skill requires us to place the aspiration to mitigate genetic disadvantage within the larger context of “societal fairness”. Directly mitigating the natural lottery of life (via genetic therapy, for example) is only one of many competing demands justice places on us as a society. We should not take the insular view that mitigating genetic disadvantage is the only requirement of justice (nor should we ignore this duty). Such an aspiration must be balanced against other pressing demands (e.g. combating poverty, etc.). So this third skill requires a theorist to adopt a wide lens when determining what would constitute a fair, proportionate and effective strategy for combating the various forms of disadvantage that pervade our societies.